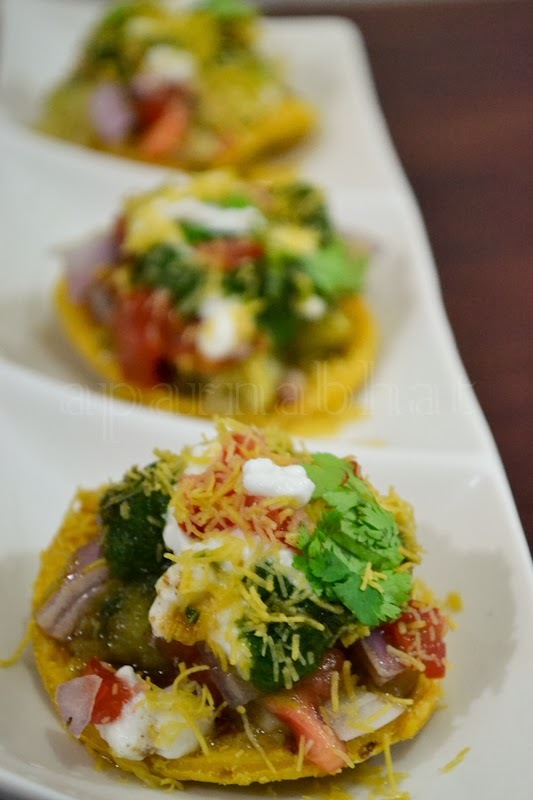 After the chutneys been prepared , it was time for me to prepare some chaat and I decided to prepare Dahi papdi chaat as an evening snack. Home made papdis is on my "to do list" but for this attempt I had less time for the preparation and so decided to bring papdis from the store. 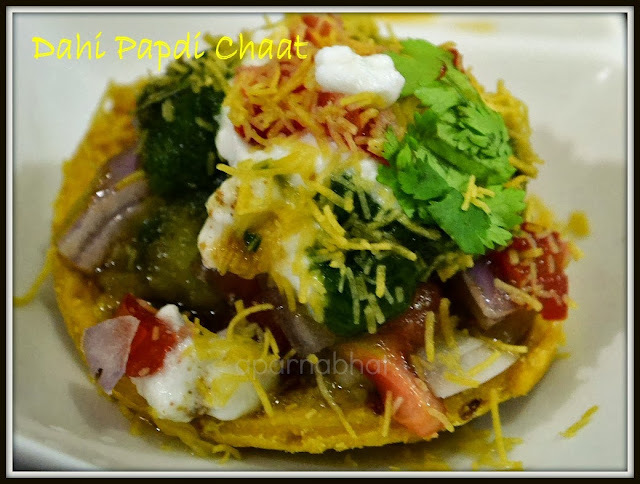 Dahi papdi chaat is one of the most popular Indian chaat and can be prepared in various ways using different types of toppings besides curds, chutneys and sev. Dice the boiled potato into small pieces or you can mash it. Chop the onion and tomato finely. Whisk curd, sprinkle some chaat powder on the curd and keep it aside. 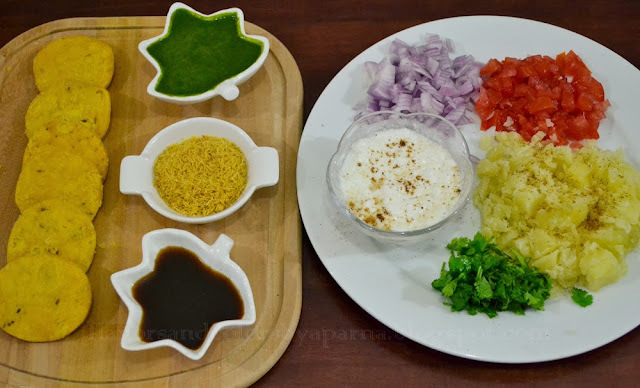 To make sweet chutney and green chutney kindly click on the above links. Arrange the papdis on a plate. Smear each papdi with sweet chutney and green chutney. [Optional step]. Top it with nylon sev and finely chopped coriander leaves. Serve them immediately and relish this tangy, sweet delicious chaat !!! - If you have no time to assemble and garnish each papdi, then just crush the papdis on the plate and add the toppings, chutneys and garnish with sev and chopped coriander leaves as mentioned above. - You may adjust/omit the quantity of ingredients used as toppings or to garnish the papdis as per your taste. - Sometimes I use boiled sprouts in place of boiled potatoes.